Installation Folder:To open CCBoot installation directory. 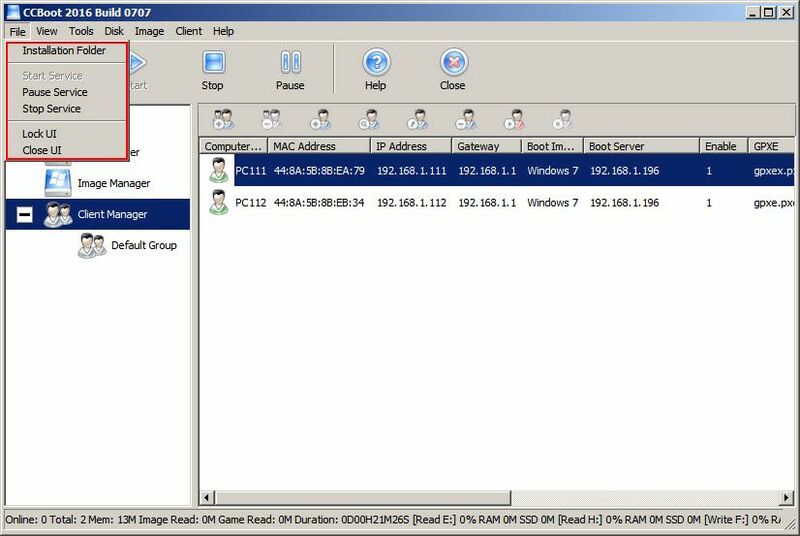 Start Service: Start DHCP, TFTP, and iSCSI Service. Pause Service: DHCP Request is not replied by CCBoot on LAN. Stop Service: Stop CCBoot All Service. Close UI: To close CCBoot Main Interface but the Server is still running.